A nice, big filly that is really pretty. 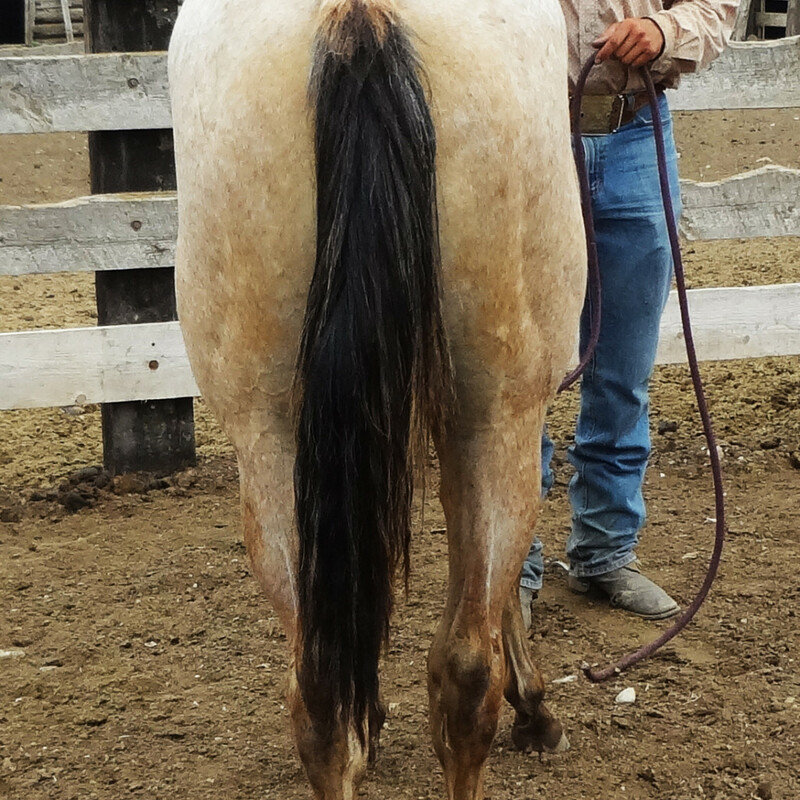 Used her dam as a saddle mare until we started breeding her and she has proven herself not only as a saddle horse but now as a great producer as well. 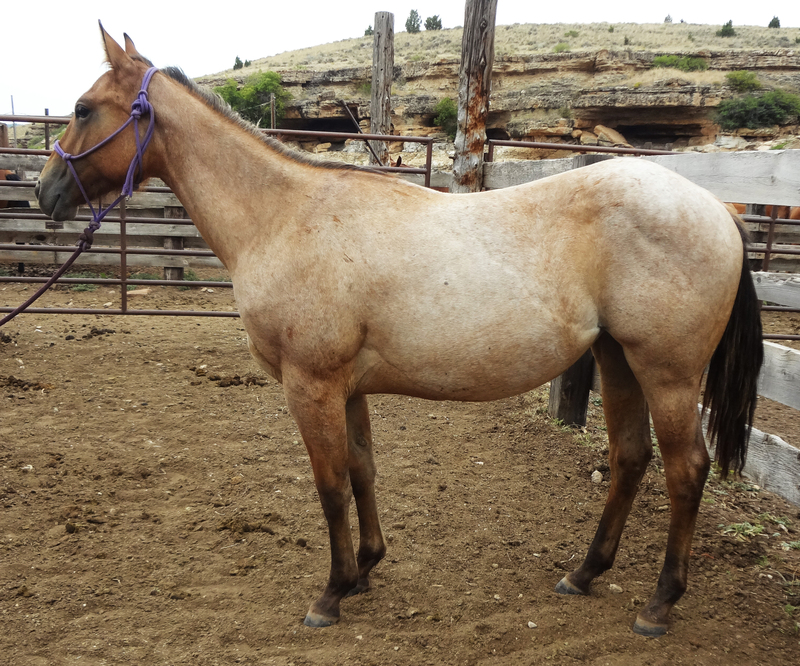 This filly is halter broke and ready to start this summer.